If your school does not already schedule a time to do inventory, a new year is a great time to do so. By taking inventory, not only will you find out what you need to reorder and/or restock, but your students will learn valuable organizational skills that will help them in college. Once inventory is complete, you will see which items are most popular and may need to be replaced. Whether it is school apparel, school supplies, or novelty items, your inventory will tell you exactly what you need to replenish your store with for the rest of the school year. Now is also the time to review your school’s and store’s fundraising goals. 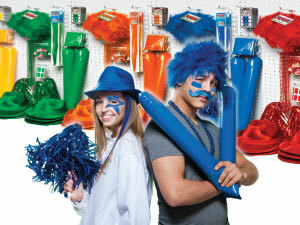 Determine how much money your school store has made thus far. Then, decide upon what steps can be taken (if needed) to fulfill your fundraising goals for the school year. Or think up your own store specials. Let’s face it, without customers your school store won’t make a profit. Promote your store during big school events, like a Homecoming, a winter carnival or spring events, have people purchase their Prom tickets in your school store, or set up a small booth at big community events. The more people you attract, the more your school will benefit. What other ways are you preparing your school store for the rest of the year?